We cater for all ages when it comes to make up using a variety of different brands in the clinic. We also offer weekend lashes (patch test required) to add on to your make up to enhance the eyes. 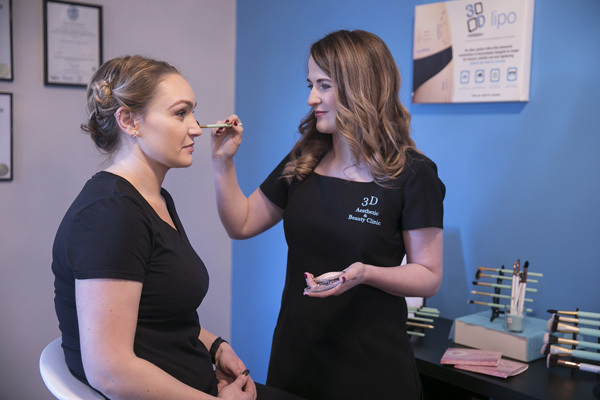 Our Clinic Manager Sarah Jane is Fashion & Photographic Make up and ITEC qualified.Claire is ITEC qualified and Caoimhe is CIBTAC qualified along with attending various masterclasses.